Creation Date Friday, 22 August 2014. NMED performed a Comprehensive Performance Evaluation (CPE) to establish a thorough analysis of water treatment plants in Ruidoso and oversee water quality issues throughout the city. Among the plants evaluated were the Alto and Grindstone facilities. To identify performance limiting factors and develop strategies for optimizing overall plant operations, an exclusive CPE team was formed to focus solely on the plants’ operational elements. The team consisted of Jennifer House, Darrel Blanchard, Brock Emerson, and David Sohns. 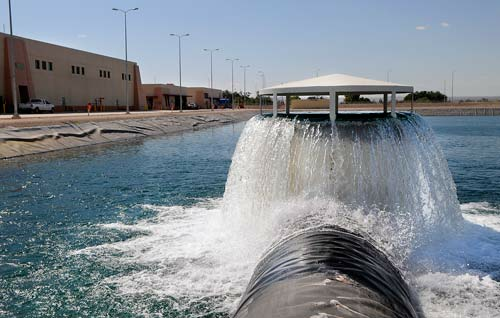 Upon finishing on-site experiments and interviews, the team noted that both Alto and Grindstone reservoirs did not meet the disinfection regulations for water treatment plants. To address this disinfection issue, the plumbing at both plants was reconfigured. Despite the performance limiting factors present in the plants, both still produced reliable and safe water supply, the CPE team concluded. Furthermore, the team recommended the installation of a supervisory control and data acquisition (SCADA) system to improve the efficiency of the pre-chlorination process. The system would also ensure the effective monitoring of the water distributed to the entire Ruidoso community. Large-scale water treatment plants could rely on high-quality, technologically advanced lab water purification systems to optimize overall water treatment operations and meet industry standards. Aqua Solutions is committed to providing advanced water purification and treatment solutions for industrial and scientific laboratory applications. To view our extensive line of high-quality filtration systems delivering ultra-pure reagent grade laboratory water quality, visit www.aquaa.com today.